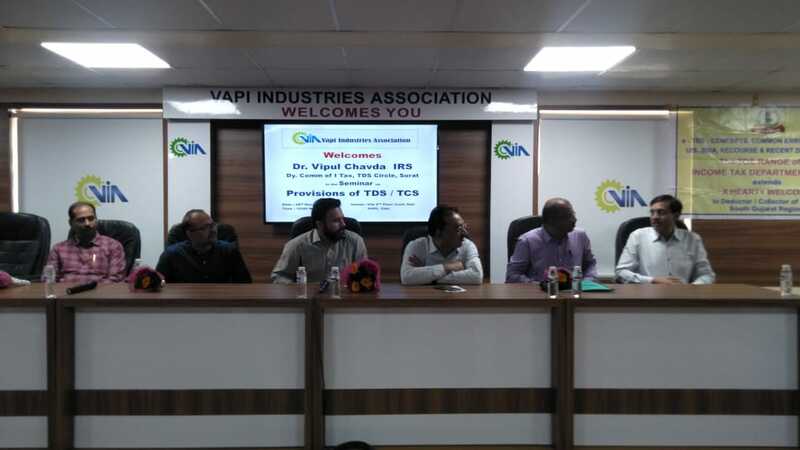 Vapi Industries Association (VIA) jointly with income Tax Department has organized a Seminar on Provisions of TDS / TCS at the VIA 2nd Floor Conference Hall on 28th December 2018, Friday. 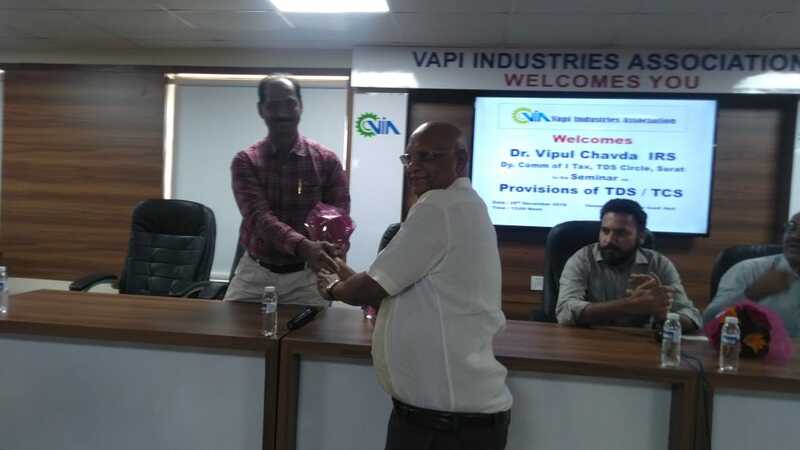 The seminar was held in the presence of Dr. Vipul Chavda IRS, Dy. 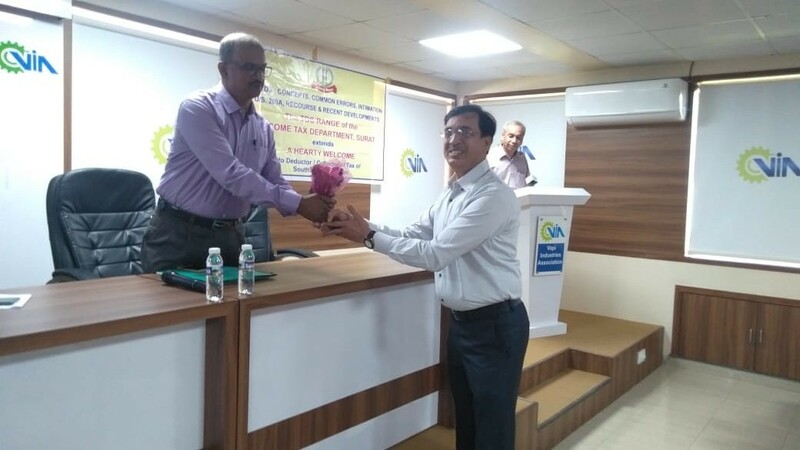 Commissioner, Income Tax, TDS Circle, Surat, Shri Vinod Kumar, Income Tax Officer, TDS – 2, Surat, Shri Varughese Philip, Income Tax Officer, TDS – 3, Surat, Shri Rajan A, Income Tax Office, TDS, Valsad, Shri Satishbhai Patel, Hon. 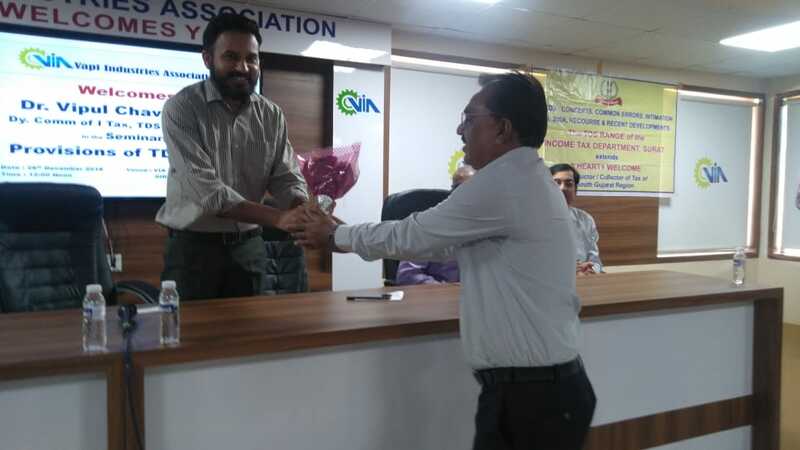 Secretary, VIA, Shri G B Laddha, Executive Committee Member, VIA, Shri Viren Sanghvi, Executive Committee Member, VIA. 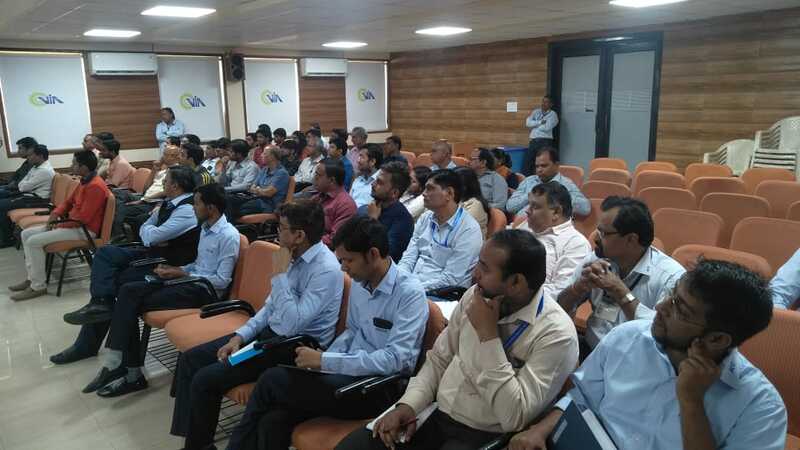 During the seminar the officers of IT department explained the procedure to file return of TDS and TCS also they explained the implications of not filing the returns and the applicability of penalty for the same. The seminar was well attended by committee members and members of VIA, chartered accountants and accounts professionals.